Despite finding out that both my babies were boys before they were even born, I didn't go too crazy on the blue. 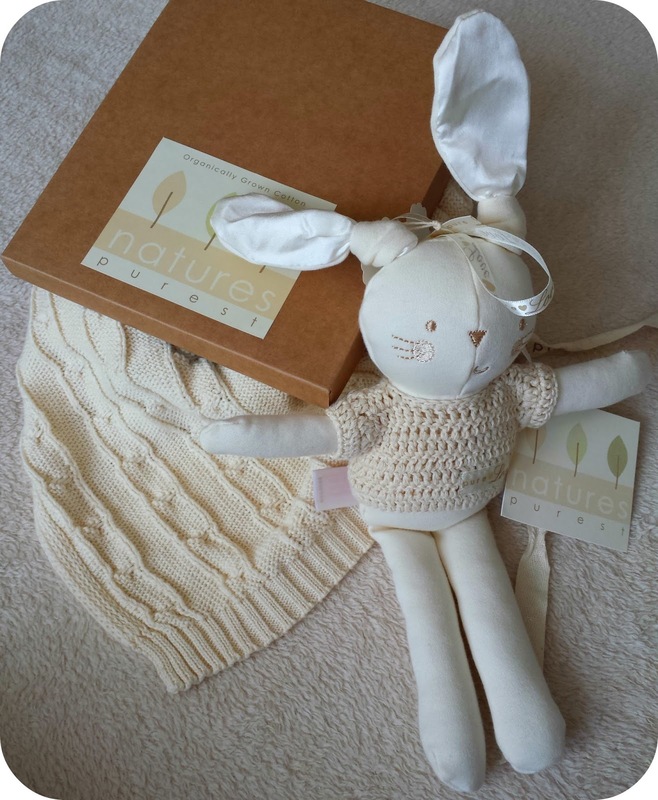 I think there is nothing more beautiful than a baby in white and cream and I am loving the products from Natures Purest as they are perfect for little bundles. Everything is made from organically-grown, naturally coloured cotton and the neutral tones are perfect for boys and girls. They sent us a beautifully wrapped, gorgeous cable knit blanket and until you have touched it yourself, you will not believe how soft it is. I loved tucking Archie up in his moses basket with it and it is plenty big enough for him to snuggle under in the coming winter as well. This is the perfect gift for a new baby as you can't help but want one for yourself. 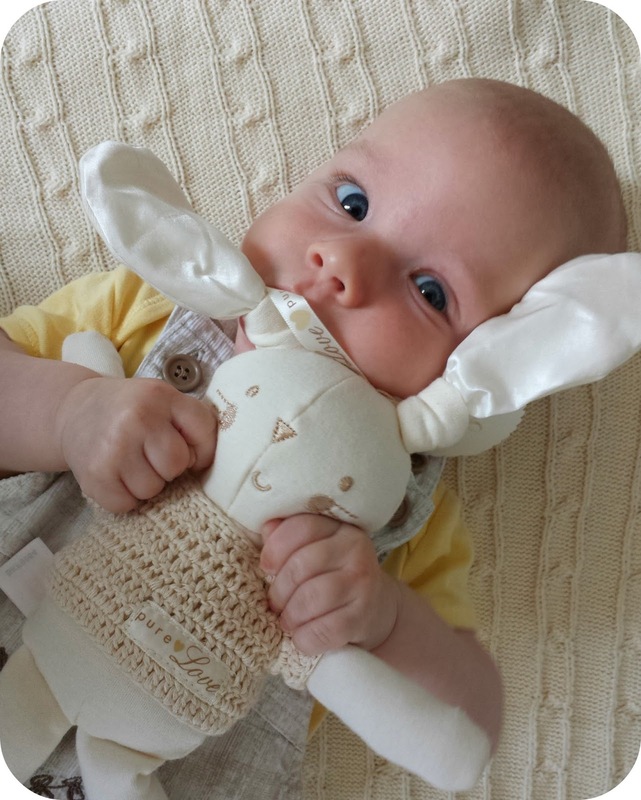 They also sent Archie a gorgeous stuffed toy, which again is deceptively soft and he loves cuddling (and chewing) it. We love the products, the simplicity, the natural materials and how beautiful they are and would highly recommend them as a perfect new baby gift. Disclaimer: I was sent these products for the purpose of an honest review but they really are unbelievably soft!